Laser cutting is an easy way to make a box any size and any shape for any project you may need. 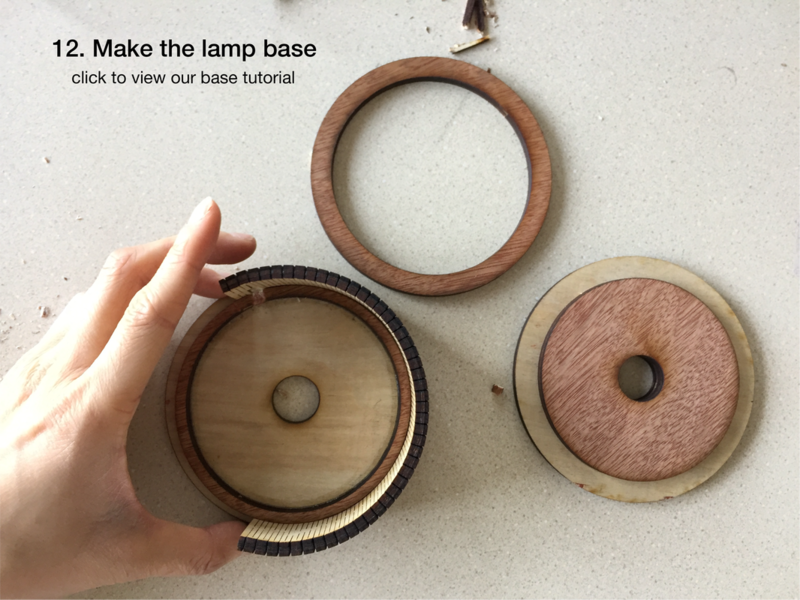 In this post I'll be making a circular box for a lamp base. 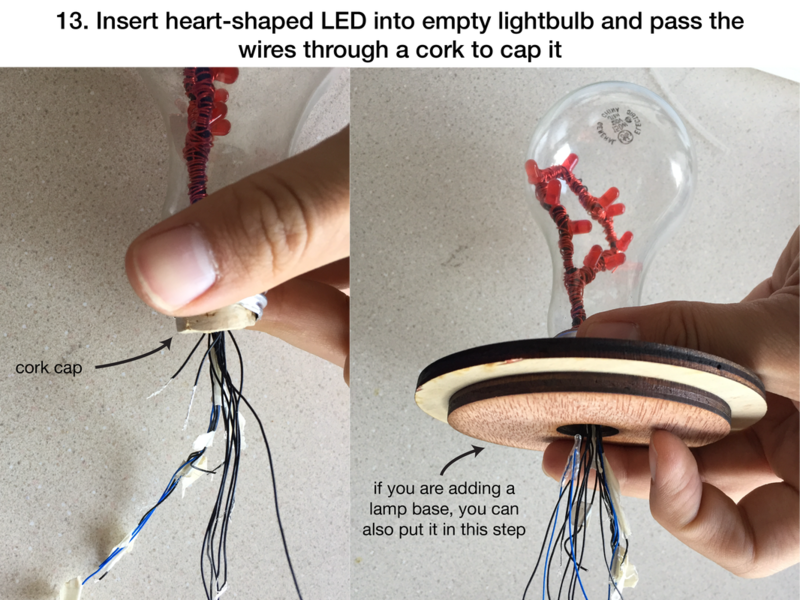 The design is based on another Instructable. 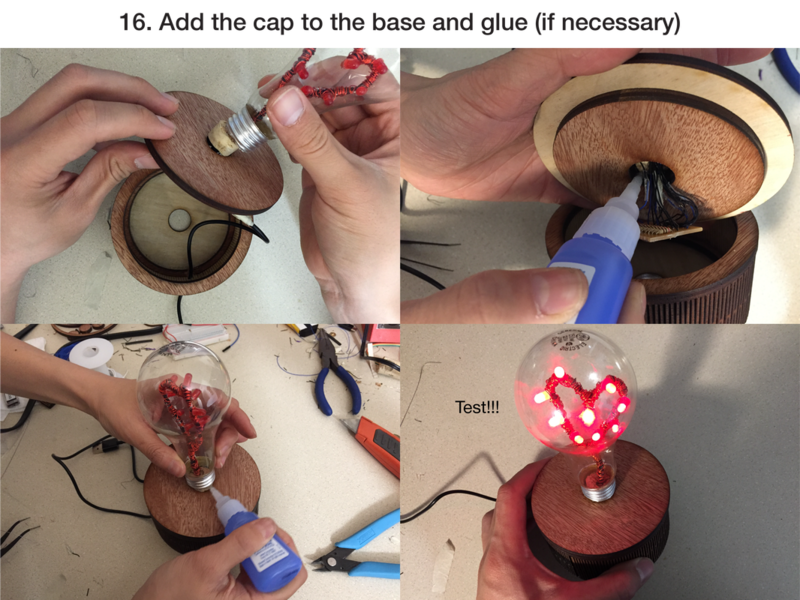 The small circle in all the cuts was necessary for our lamp to pass the wires through. Feel free to remove/modify it as necessary! These are all the parts you will have after laser cutting. To assemble the base, glue the Base Inner Support (2.) to the Base (3.) along the etched line. Once the side wall is dry, add the Top Support (6.) onto the other side of the wall. Voila! Here's the finished base with the lamp we made. If you don't have access to a laser cutter, don't worry; get creative! There's plenty of alternatives you can use. Here are just a few I found around my house. 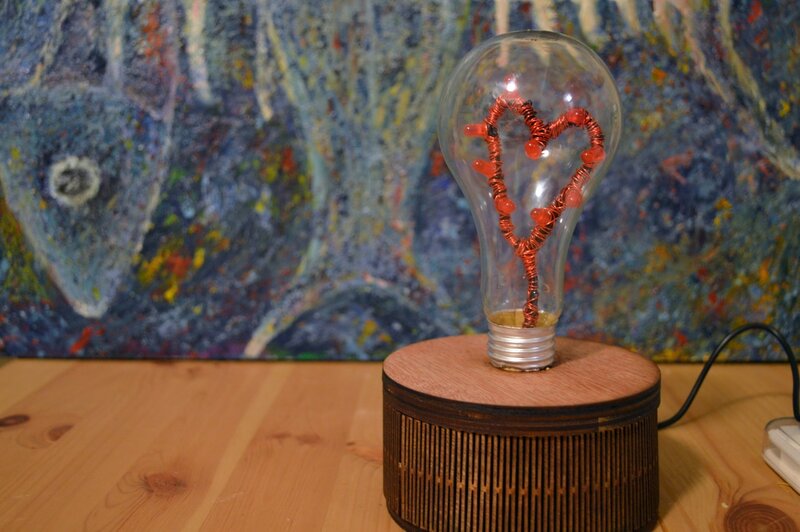 With Valentine's day right around the corner, our first project is a great Valentine's gift! 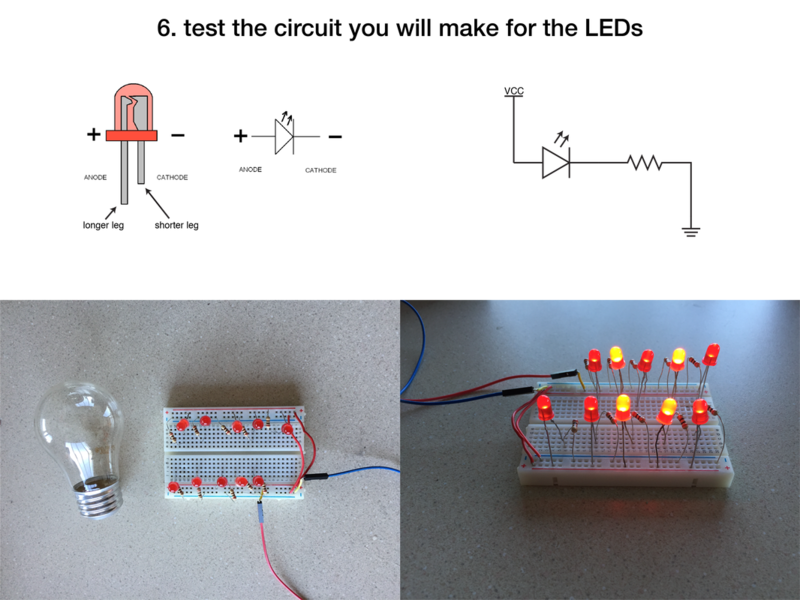 This is a twist on the classic lightbulb and requires very basic components. 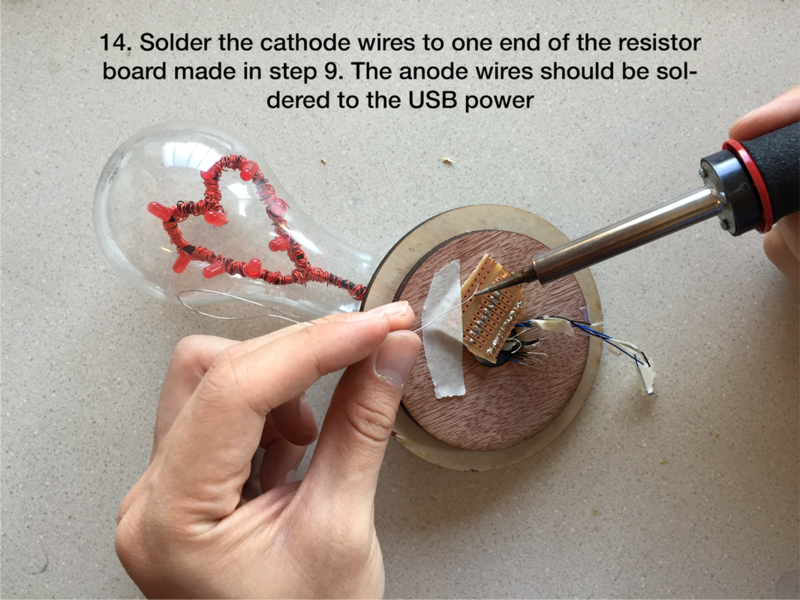 The most challenging/longest part for us was soldering. 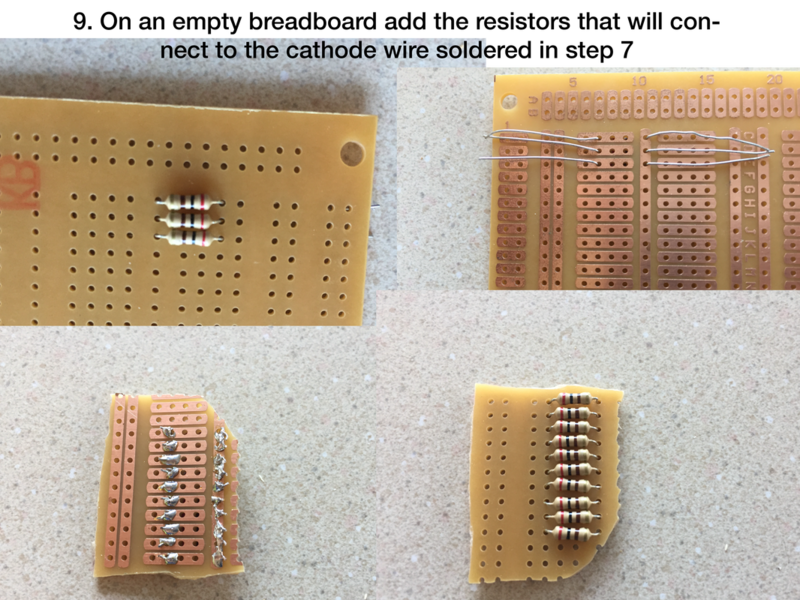 If you've never soldered before check out this video. Attach jumper wires to the USB cable so we can check it's voltage supply. 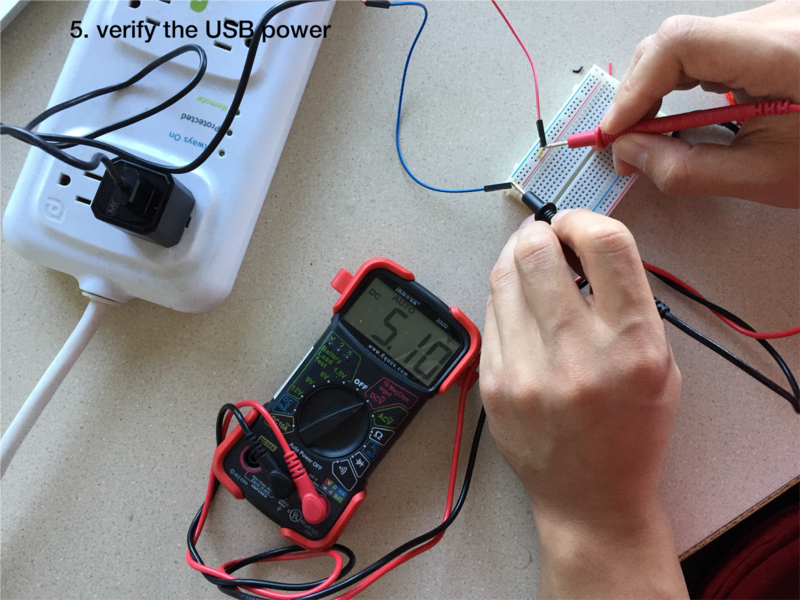 USB connectors are rated for supplying 5V. ​Tip: Make these wires extra long! 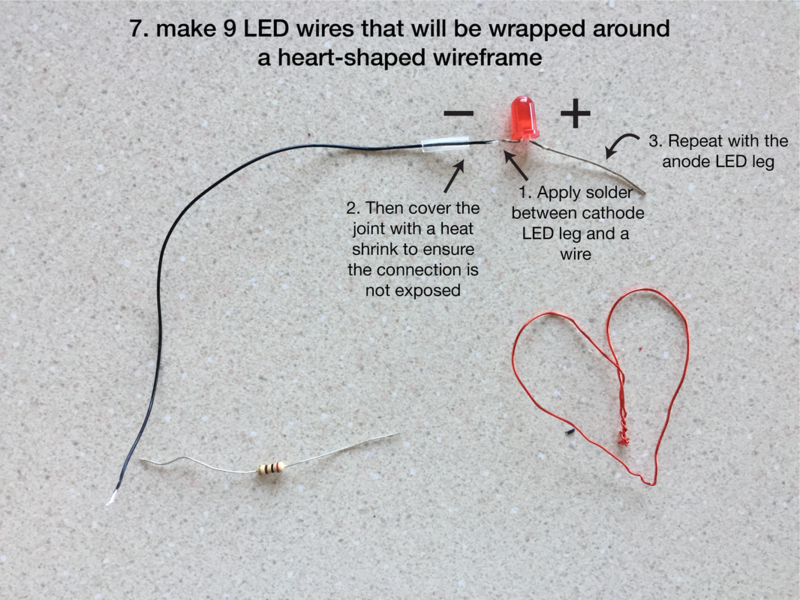 You will need to wrap this LED wire around the heart and also pass it all the way down to the lamp base. The first time I made it, I ended up having to extend the wire leads because I cut my wires too short. For the lamp base, I laser cut a circular base similar to the ones here. You can download my laser cut files as PDF from here or read my post on assembling the box here. 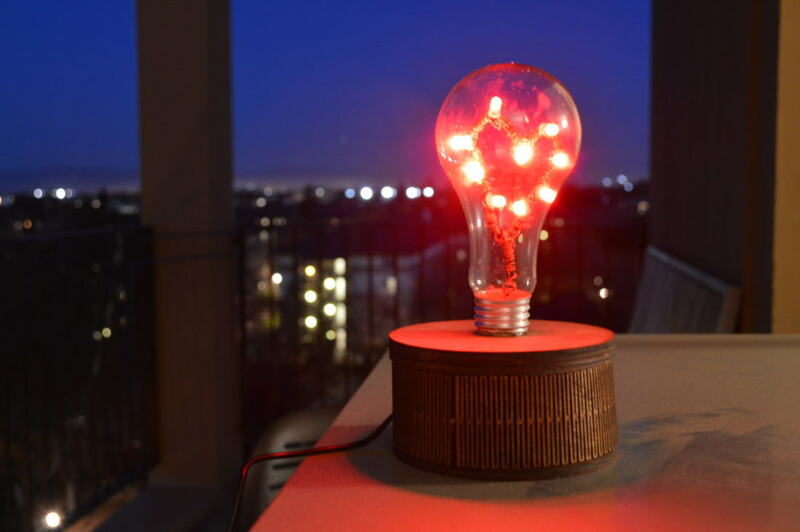 ​Tip: if you don't have access to a laser cutter, use any circular container! I made another base out of poster packaging tube and paint to give it a nice wooden finish. Once I put it all in, I used super glue around the cork cap to make sure the lightbulb wouldn't be easily knocked off. Last, I powered it to verify all LEDs were properly working. We are excited that you have stopped by our blog! Whether you're new or old in the world of mechatronics our hope is to inspire others with our projects and insights we gain along the way. This is a space to post about our personal projects (and procrastinate a bit from our work). 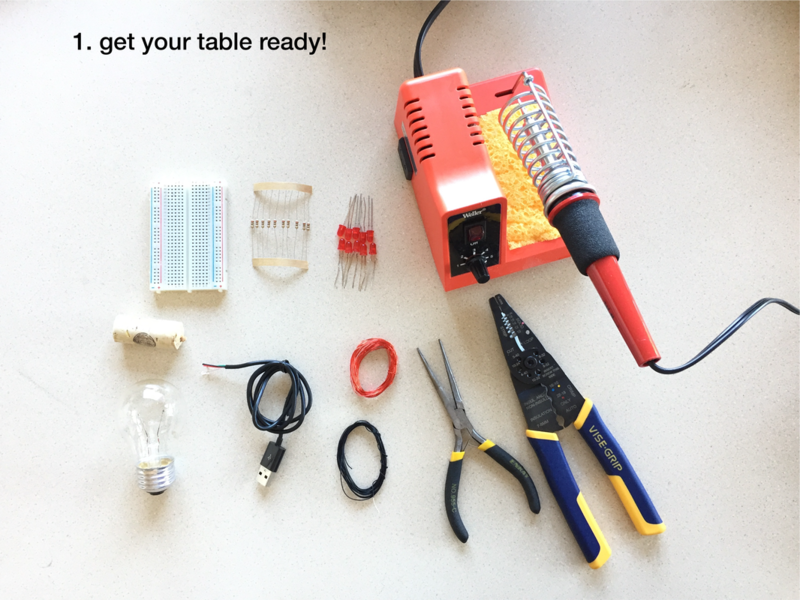 Leave us a comment if you have any questions or feedback on the blog or follow us on Instagram (@makers_table). If you have any cool projects going on or tried any of our own, we would also love to hear about it!